Should I max out RAM for MBP 13.3"? Discussion in 'MacBook Pro' started by anonymous12, Apr 22, 2011. I'm pretty sure that I'll be getting the MPB 2011, the high-end 13.3" laptop. I was thinking if it is a good idea to max out the RAM because I plan to be using the laptop for 3+ years. no because if your using the 13" you probably wont be doing anything that will require 8gb and if you do it can be upgraded down the road. 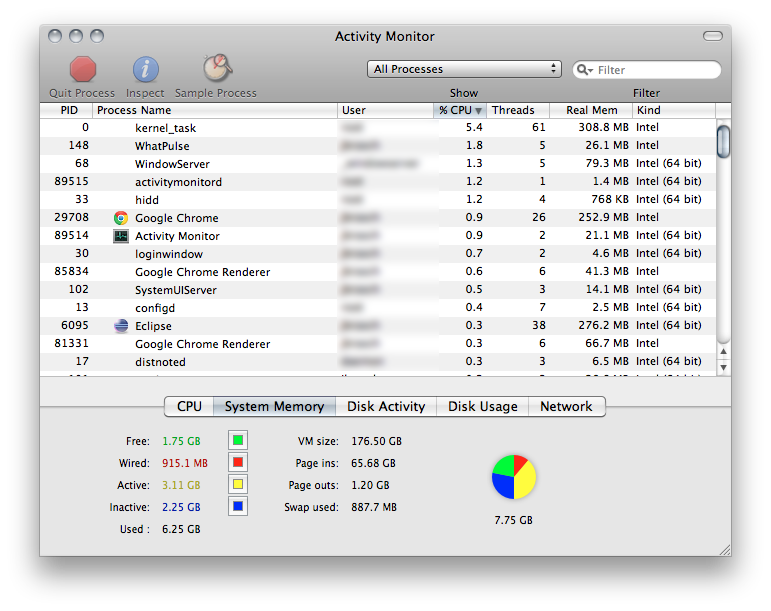 This, also never buy apple RAM it's 4 times more expensive then regular RAM. Damn, thanks for the quick reply. You guys just saved me $220. I have another question. How is the graphics card for the 13.3" MBP? Don't expect to game with it, to put it simply. Really? I max out 8gb daily on my 13". Upgrade it yourself later if you need it. I never game anyways. I just wanted to know if it could play HD movies without being too choppy. Since the 13'' is only a tad over 720p, playing 1080p will not net any higher quality on the laptop's screen. If you use an external monitor, it should play 1080p just fine. 13 in plays COD4 and frycry2 really well. smooth. i havent gotten portal 2 yet but from what i've read it plays well. max it out...its cheap enough. What does your Page Out look like? Either way, a SSD would work better at fixing the beachballs. I play 1080P on my 2011 13" MBP just fine. I also have a ThinkPad with an i3 Intel CPU and Intel HD graphics. Huge difference between the two. If you want to max out the ram, do it now while it's cheap. I have a Windows desktop that uses DDR2 memory that cost twice as much to upgrade vs if it had DDR3 memory. Once DDR3 is old toothed, it will start becoming expensive. I'm getting 0 page outs. what do the page outs mean? An SSD would be better off than a RAM upgrade? I plan to get an SSD when Lion comes out. ok im sorry yea people can use more than 4gb but its not common for average users. the 13 can game not great but it will the graphics are only integrated so dont be fooled by the video memory. i tried a few of the '11 13" and they can handle tf2 SC2 and l4d2 but your not going to get great results but its good for gaming on the go. more than likely the bottleneck causing beachballs is the hdd pending what your doing the hdd is usually the biggest bottleneck followed by ram/processor pending the machine on the '11 mbp's your processor is least likely to be your bottleneck but that depends on what your are trying to do with your machine. save the money and buy the ram aftermarket it you can get 8 gb for like 100$ unless you have an HE discount then the ram upgrade is a lot cheaper and only like 10$ more than on your own. ive heard mixed things on portal 2 on the 13 some have said it runs great others said it crashes at points but i cannot personally say im still waiting to test it on my '11 15" but the stupid PSN is down and i got the free copy for the comp if you buy it for ps3 which is awesome!!!!!!! You can always add RAM later if you start getting page-outs. I bought 8GB through macsales and it has been amazing on my 13"! I had 2 GB before and SC2 would literally make my system go to a crawl after playing it because it used more than 1 GB of memory. More memory will allow more apps to sit in memory which will give the feeling of a faster system over time as you keep using your Mac. Right now I have 3.09 GB free with 4.91 GB used (2.27 inactive, 846 MB wired, 1.81 active). Launching an app that is inactive will be a lot faster because it is still in memory. I think it's worth it. It really took the beachball away because a lot of the common apps I use just quietly sleep in memory. 1080 HD footage shot with my Contour 1080HD head cam. I do use an External Samsung SyncMaster 2333HD external TV/Monitor and a Lacie rugged 1TB external hard drive from the money saved not buying the 13inch i7.